How can a sailboat go against the wind? A very frequent question I'm asked. Here's the answer, not just how it's done but also why it works. If the sailboat is moving, and "moving" is essential, you can sail upwind on a Close Reach or a Close Hauled point of sail. If the boat is not moving, it will go in the direction the sails pull it, which is somewhat downwind. 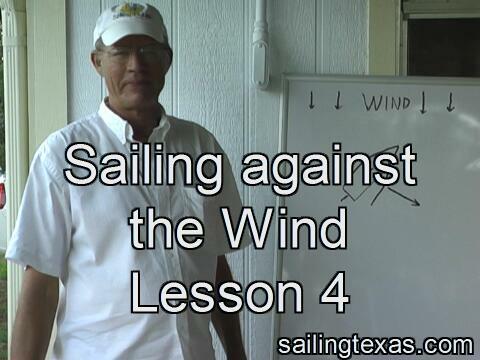 Click image for Sailing Against the wind, Lesson 4, 10MB file.